Anthony Giannotti is a senior partner of Beluli Giannotti LLP in Windsor Ontario a firm he started in March 2009 together with Dimitry (Jim) Beluli. He is a member of the Ontario Trial Lawyers Association, The Advocates Society, and the Essex Law Association, and The Writer’s Guild of Canada. Anthony Giannotti has been certified by the Law Society of Upper Canada as being a Specialist in Civil Litigation and he has maintained this prestigious designation since 2004. Certified Specialists such as Anthony Giannotti have achieved unparalleled expertise and standards. Anthony Giannotti is certified by the Law Society of Upper Canada as a Specialist in Civil Litigation. He has been an invited guest lecturer and presenter for associations such as the Law Society of Upper Canada, The Advocates Society, the University of Windsor Civil Trial Advocacy Course, and the Ontario Trial Lawyers Association (2006 Fall Conference, 2008 Spring Conference). He has also taught the Bar Admission Course Civil Litigation Section for the Law Society of Upper Canada. Anthony Giannotti has acted as counsel in several high profile cases in Ontario and practices in the Court of Appeal as well. Anthony Giannotti has acted as counsel in many cutting edge cases. In 1998, he sued the Township of Lasalle for wrongful death of a local teenager in 1998 which acted as the catalyst for sidewalks and streetlights being constructed in Lasalle, Ontario. The case was heard by the Court of Appeal for Ontario as well as the Supreme Court of Canada. In 2005 Anthony Giannotti again pushed the envelope in the area of Employment and Wrongful Dismissal Law when he obtained a Judgment against an international company, Flex N Gate, for damages resulting from Wrongful Dismissal of his client. The Judgment was unique in that both Punitive and Aggravated Damages were awarded in a wrongful dismissal case in addition to Damages awarded pursuant to the principles in the Supreme Court of Canada decision in Wallace v. United Grain Growers Ltd.; The case has since gone on to become a precedent for other courts. Prior to becoming a lawyer, Anthony Giannotti worked as a high school teacher for the Windsor Roman Catholic Separate School Board for 2 years. Anthony Giannotti has a separate and distinct career which he maintains in addition to his illustrious law practice. Prior to entering law, Anthony Giannotti became an accomplished musician and has performed professionally for over 35 years. His is a multi-instrumentalist focusing on electric and classical guitar, piano, and vocals. He has been a member of The Society of Authors, Composers, and Music Publishers of Canada (Socan) since 1987 and continues to be active in the entertainment industry. He is a guitarist, singer, songwriter and musician of the highest caliber who funded his education through his performances. He has written and recorded numerous songs and in particular wrote and recorded the commercial for The Canadian Cystic Fibrosis Foundation called “The Breath of Life”. 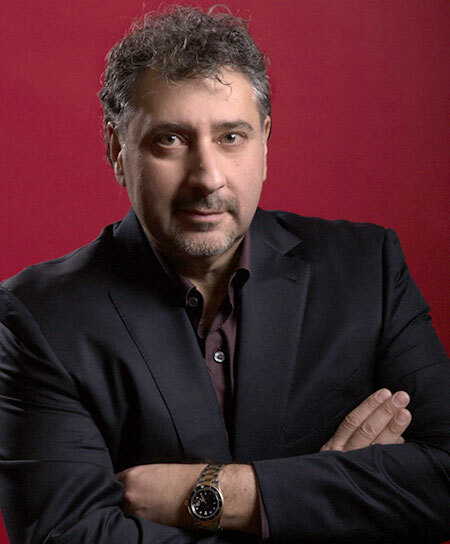 Anthony Giannotti is also the President of Calabrese Productions Inc. based in Ontario, Canada which promotes and produces live acts in North America. Anthony Giannotti acts as manager, producer and tour promoter internationally acclaimed Australian Comedian Joe Avati. Anthony Giannotti is the Executive Producer of Joe Avati Live! ; Joe Avati & Friends; Joe Avati Back 2 Basics Tour; all of which shows have toured throughout North America since 2001. Anthony Giannotti was chosen by Neal Schon of the rock super groups JOURNEY and SANTANA to write a Biographical book of the famed guitarist (and Santana guitarist). Anthony Giannotti is also a member of the esteemed Writer’s Guild of Canada. He is under contract with the prestigious film company and distributor Equinoxe Films of Montreal Canada for the production of film and television series. Anthony Giannotti continues to actively practice civil litigation in Windsor Ontario in addition to expressing his artistic talents through music, book writing, and movie writing. Overview of the Mustapha vs. Culligan case written and delivered by the Trial Lawyer on the case detailing the legal impact of the case on the Canadian Law. Leading trial lawyer, Anthony Giannotti, provides a detailed analysis of the state of the Law in Canada on the Tort of Nervous Shock for the members of the Ontario Trial Lawyers Association. Plasponics Ltd. v. Bernard Mould Ltd. 2007 CarswellOnt 3265 Ontario Superior Court of Justice May 25, 2007 Docket: 06-CV-7635CM Subject: Corporate and Commercial; Civil Practice and Procedure; Contracts Alternative dispute resolution. Contracts.